The one thing that I look forward to when the weather gets colder (apart from Christmas!) is the fact that I can wear socks and sandals. I know this is a bit of a divisive trend but I love the look of a glittery ankle sock with a sandal and a dress, super festive! Spartoo have a huge range of sandals in stock and it just goes to show that they needn't be limited to summer wear. Choosing a style in a sumptuous fabric, such as velvet, is perfect for the party season and you could even pick a vibrantly coloured pair or a sequinned pair, which would look great with denim and socks for day or with your party outfit for night! Whilst it is a favoured look of mine, it's unfortunately weather dependant. Definitely not a look to wear in the rain; who wants soggy socks! However, for those autumnal days when it's sunny and crisp, I love to wear socks instead of tights, especially with a midi skirt or dress so I don't get too cold. 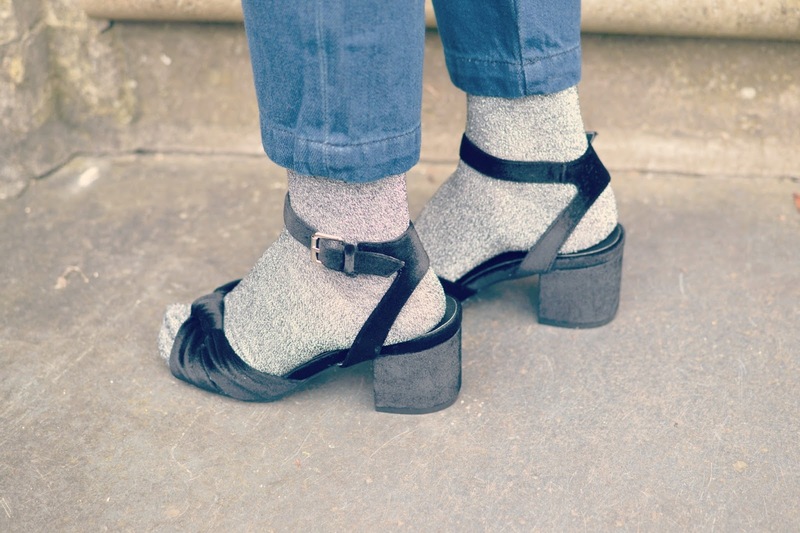 Socks and sandals - yay or nay? !